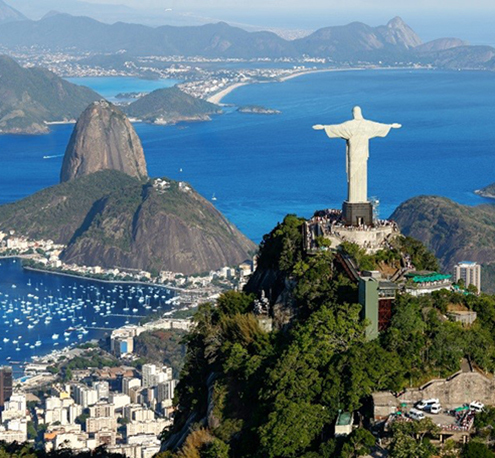 Rio de Janeiro sightseeing operator accelerates traveler growth with Expedia Local Expert partnership. C2Rio Tours & Travel is a Tours and Sightseeing operator providing daily group and private city tours in the heart of Rio de Janeiro, Brazil. With a focus on visitors coming to Rio de Janeiro for the first time, the fast-growing business remains committed to showing off the fascinating history, breathtaking landscapes, and vibrant culture of the region. Chief Operations Officer Leo Balardjischvili has always had ambitious goals for C2Rio Tours & Travel, particularly upon expanding into the online travel space in 2016. Keenly aware of the power of the marketplace, Leo decided against using paid marketing techniques to direct traffic to their own website. Instead, he chose to direct resources into hiring professional guides and creating an overall high-quality tour to present to customers throughout the world. With the building blocks of success in place, C2Rio Tours & Travel left the expertise to the global impact of the Expedia Local Expert® platform to fulfil the promise of expansion. After a successful low season, the company made the decision to hire a Product Manager to scope further advancements they could make to their tours. In discussion with their Expedia Local Expert Destination Manager, they optimized their offerings and added new tours using Local Expert Partner Central (LXPC)—Leo stating LXPC as an extremely simple platform to implement the required content changes. The improvements proved fruitful as they gained the trust of the customer and achieved their goals for amount of travelers on their tours in 2018 before the conclusion of the year. A challenge Leo cited for C2Rio Tours & Travel will be to maintain the quality of service delivered during the high season. However, with a smooth connection between their reservations system and Expedia inventory via API as well as Expedia Local Expert’s commitment to providing prompt solutions, the business is sure to continue to thrive long into the future.